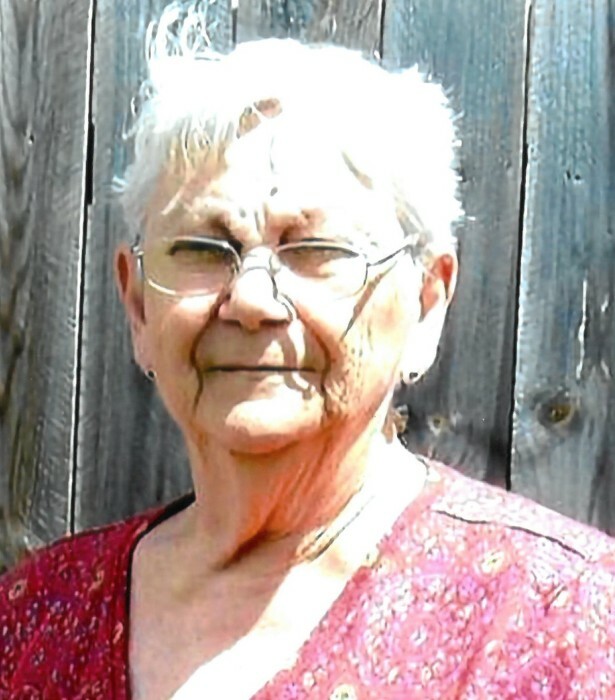 Kathleen C. Powers, 77 of Cresco, IA passed away Saturday, March 30th, 2019 at Colonial Manor of Elma. Funeral service will be held at Burr Oak United Methodist Church on Thursday, April 4, 2019 at 11:00 a.m. Burial will be in Burr Oak Cemetery in Burr Oak. A visitation will be held on Wednesday, April 3, 2019 from 4:00 to 7:00 p.m. at Hindt-Hudek Funeral Home in Cresco, IA and will continue at the church for one hour prior to the service on Thursday. Kathleen was born June 16, 1941 in Hesper, Iowa to John Kimber Sr and Mabel (Arnold). She was raised in Hesper along with her 7 other siblings. Kathleen now is reunited with them. On March 24, 1956, Kathleen found her church family and was baptized at the Burr Oak Methodist Church. She and husband Roger were married in that very church July 28, 1957. Later they built their lives and home there in Burr Oak. Together they had four children Bonnie Moore, Calmar, Iowa ,Tony Powers, Riceville, Iowa, John (Paula Bird) Powers, Jesup, Iowa, and Beth (Brian) Eastland, Cresco, Iowa. Kathleen had an extreme love of the land which she passed on to all of her children. Her beautiful gardens, provided not only for her family, but to many others. May of 1978, Kathleen and Roger moved their family to Roger's parent’s farm located in rural Decorah. There, Kathleen enjoyed quilting and crocheting. She was skilled in many crafts. Kathleen passed those skills on to not only her girls, but also to many who wanted to learn them. Kathleen and Roger spent several years together on the farm. Kathleen liked to join Roger on his bus route monitoring special needs children. Some of which she still kept in contact with. In May 2007, Roger and Kathleen moved to Cresco from the family farm. Visits continued to be filled with love. Kathleen always had goodies made for anyone that happened to stop by and holidays were a joy. Roger preceded Kathleen in death August of 2009. Kathleen's heart will forever be remembered. Kathleen was a Daughter, Sister, Aunt, Mom, Grandma, and Friend to many in life. Her life will carry on in her teachings for years to come.